Save by bundling your flights and accommodations. Expedia has plenty of amazing Elmarshausen travel packages that'll save you time and give you more cash to splash! If you secure a package deal on Expedia, you can save as much as 42%*. With more than 400 airline partners and 321,000 properties worldwide, our comprehensive database can help make your dream vacation come true. There's no end to the number of wonderful things you can do when you visit a new place. So why not get your trip to Elmarshausen off to a sensational start by checking out some of our suggestions? After all – out there starts here! Escape into the wider Hessen region and get close to nature with some activities like mountain biking. Still got time on your hands? Mountain climbing is one more activity to include on your travel itinerary. If you're having difficulty locating a place to stay in Elmarshausen, check out the number of accommodations nearby. You'll find no less than 2 options. Expedia can help you out with all aspects of cheap vacations and luxury getaways. 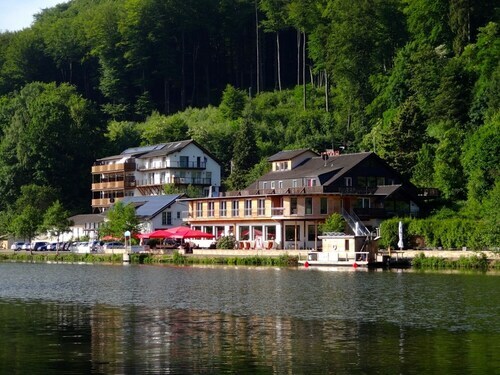 If you are having problems deciding where to stay, have a look at the Landhotel-Restaurant Schwalbennest (Wenigenhasunger Weg 1) and the Hotel Zum Schiffchen (Hans-Staden-Straße 27). Preparing for your trip to Elmarshausen? Organized those plane tickets yet? You'll be welcomed by a crowd of smiling faces at Calden Airport (KSF). The terminal is located 10 miles (16 km) northeast of the neighborhood center. 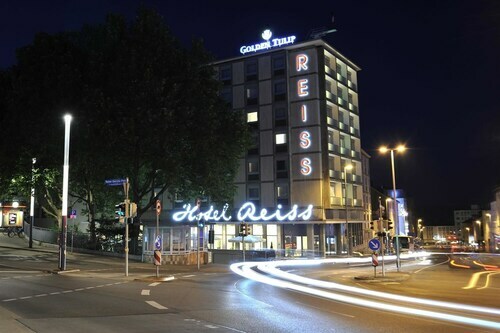 Located in Mitte, this hotel is within a 15-minute walk of Fridericianum, Museum of Natural History, and Documenta-Halle. Brothers Grimm Museum and Astronomy and Physics Exhibition at the Orangerie are also within 1 mi (2 km). Kassel Central Station is only a 1-minute walk. Located in Bad Wilhelmshoehe, this spa hotel is within 1 mi (2 km) of Kassel Congress Center, Wilhelmshoehe Park, and Schloss Wilhelmshoehe. Loewenburg Castle and Museum for Sepulkralkultur are also within 3 mi (5 km). Kassel-Wilhelmshöhe Station is only a 5-minute walk and Kassel-Kirchditmold S-Bahn is 22 minutes. Situated in a rural location, this spa hotel is within 1 mi (2 km) of Quellen Museum, Evangelical City Church Bad Wildungen, and Bad Wildungen City Museum. Castle Friedrichstein is 1.4 mi (2.2 km) away. Bad Wildungen Station is 27 minutes by foot. 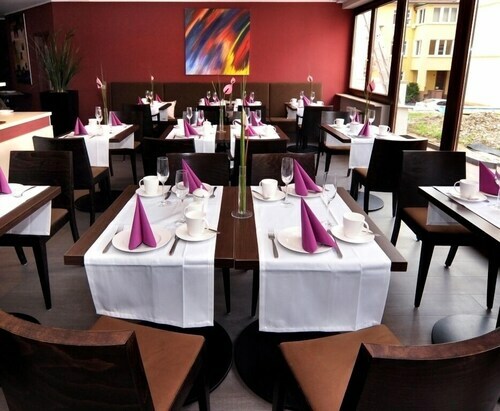 Located in Bad Wilhelmshoehe, this spa hotel is within a 5-minute walk of Wilhelmshoehe Park and Schloss Wilhelmshoehe. Loewenburg Castle and Kassel Congress Center are also within 3 mi (5 km). Kassel-Wilhelmshöhe Station is 26 minutes by foot. 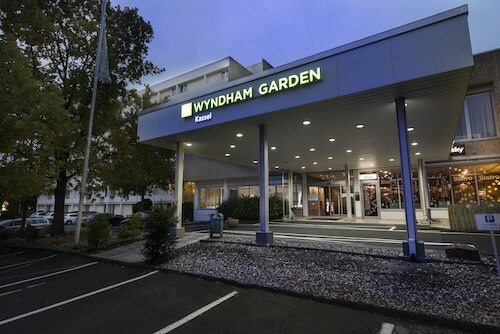 Situated in Kassel, this hotel is within 3 mi (5 km) of Documenta-Halle, Astronomy and Physics Exhibition at the Orangerie, and University of Kassel. Museum of Natural History and Fridericianum are also within 3 mi (5 km). 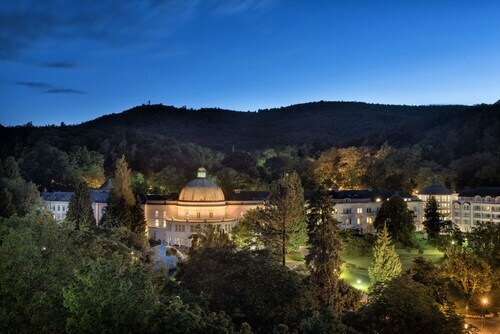 Situated in the historical district, this spa hotel is 0.1 mi (0.1 km) from Schloss Arolsen and 2.4 mi (3.9 km) from Twistesee. Kilianstollen Mine is 11 mi (17.7 km) away. Bad Arolsen Station is 21 minutes by foot. This family-friendly hotel is located in the city center, within 3 mi (5 km) of Wilhelmshoehe Park, Loewenburg Castle, and Karlsaue Park. Museum of Natural History and Astronomy and Physics Exhibition at the Orangerie are also within 3 mi (5 km). Kassel-Wilhelmshöhe Station is only a 3-minute walk and Kassel-Kirchditmold S-Bahn is 24 minutes. 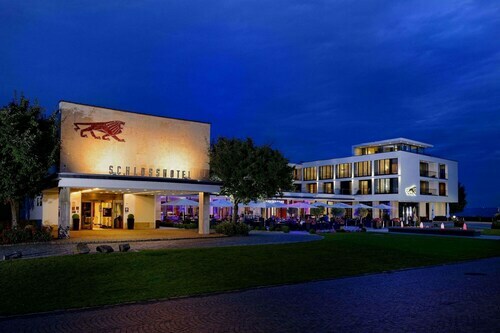 Located in Wolfsanger, this hotel is within 6 mi (10 km) of University of Kassel, Museum of Natural History, and Documenta-Halle. Astronomy and Physics Exhibition at the Orangerie and Fridericianum are also within 6 mi (10 km).